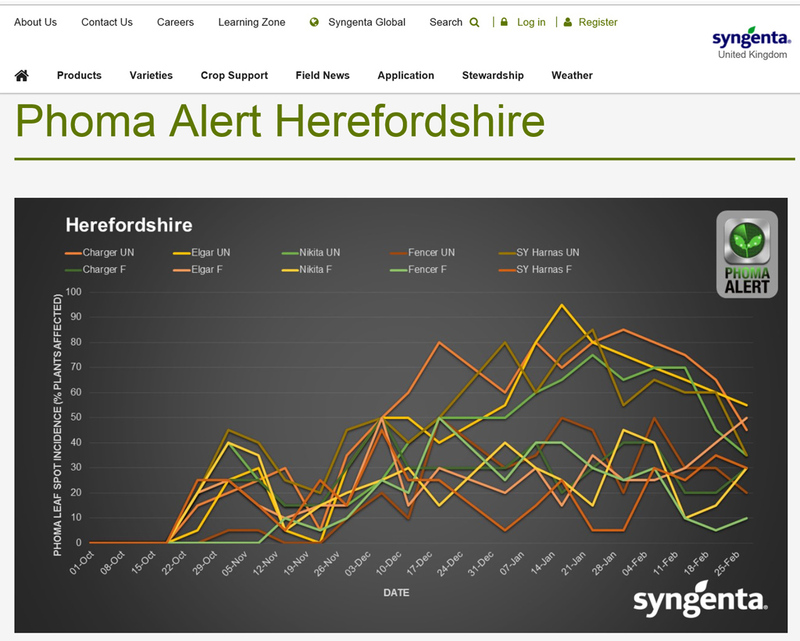 Results from last year’s Syngenta Phoma Alert highlighted the importance of Phoma timing, which was long before any signs of Light Leaf Spot, reported Technical Manager, James Southgate. Even with the low pressure season in dry conditions, ADAS crop monitoring for the Syngenta Phoma Alert website still highlighted Phoma treatment thresholds were typically reached twice before LLS symptoms kicked in, particularly on the western and northern sites. “Although the initial Phoma infection was relatively late, it was notable that reinfection after initial treatments was quite quick when pressure increased,” James (above) told the iOSR farmer group. “In fact, when infected crops reached the second treatment threshold in December, there was still no LLS reported,” added James. “The implication for agronomic decision making was to treat purely for Phoma with Plover at the first application, but given the late timing of the second treatment to bolster the LLS prevention with a Plover and tebuconazole tank mix,” he advised. 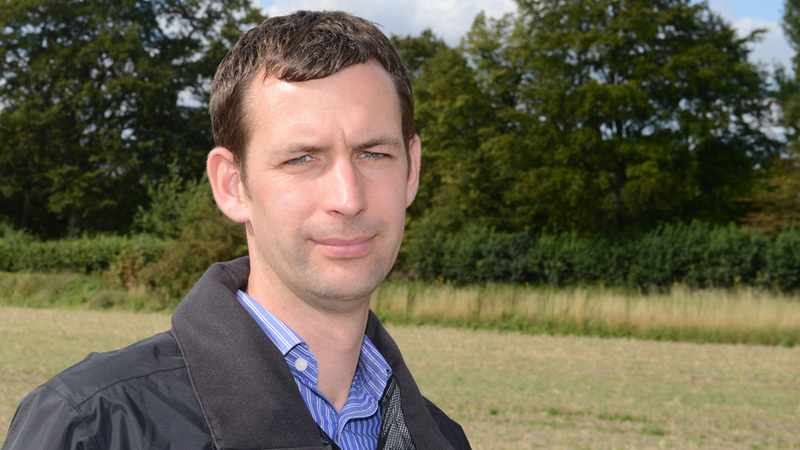 In the driest Eastern counties, James highlighted Phoma Alert indicated some crops could get away with just one treatment last autumn, using the tank-mix option. Although the iOSR growers had identified disease resistance as a key attribute of their variety selection, more recently the emphasis has been on Light Leaf Spot ratings and less on Phoma that they know can be readily controlled in the autumn. “Some 80% of varieties have a Phoma stem canker rating of six or below. 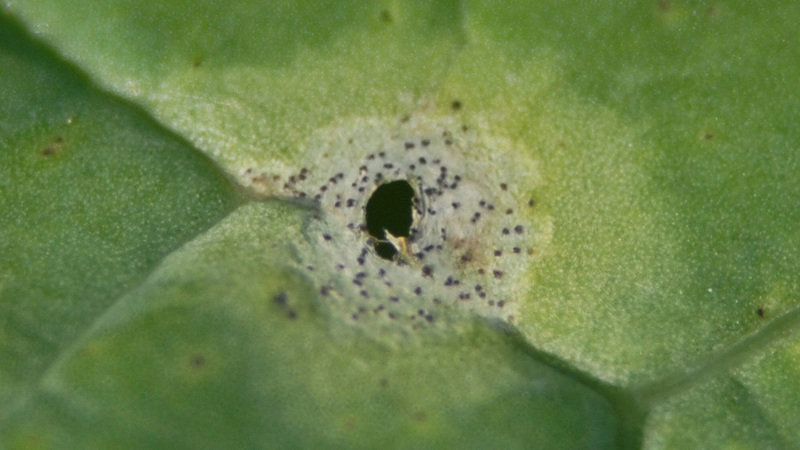 But when it comes to leaf spotting in the autumn, Phoma Alert revealed little or no difference between crops with stem canker ratings of four or six," according to James. "The advice in the field is to treat them all the same when thresholds are reached,” he advocated. “Warmer conditions at the time of infection will lead to quicker movement of infection down the leaf petiole and into the stem; the smaller the leaf at the time of initial spotting, the greater the risk of spread." "Growers should be watching Phoma Alert, monitoring crops and treating with Plover as soon as the Phoma leaf spot threshold is reached,” he advised. “Early infection in the autumn typically leads to bigger and more damaging stem cankers in the spring, with greater yield losses,” he pointed out.